PHH wore the pink suit! Talk about an amazing Christmas present: on Christmas Eve 2017 The Sunday Telegraph's Stella magazine named me as one of their top 50 UK influencers. Sophie: "I've got my paint brush - let's do it!" 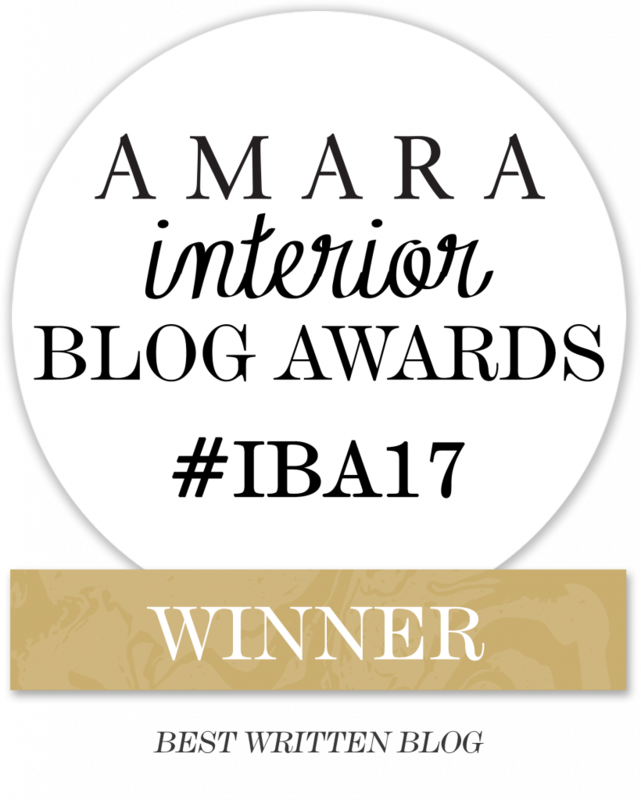 Extremely honoured to have my Edinburgh home and Amara Interior Blog Awards 2017 'Best Written Blog' win in The Sunday Times' print edition on 29 October, as well as online. It was a special moment when the very fabulous Sheerluxe (a site I have admired/drooled over for many months) chose The Pink House's Instagram account @pinkhouseliving (which, I'm proud to say, has more than 35,000 followers after less than 2 years) as one of its Best Instagram Accounts for Interiors in 2017.